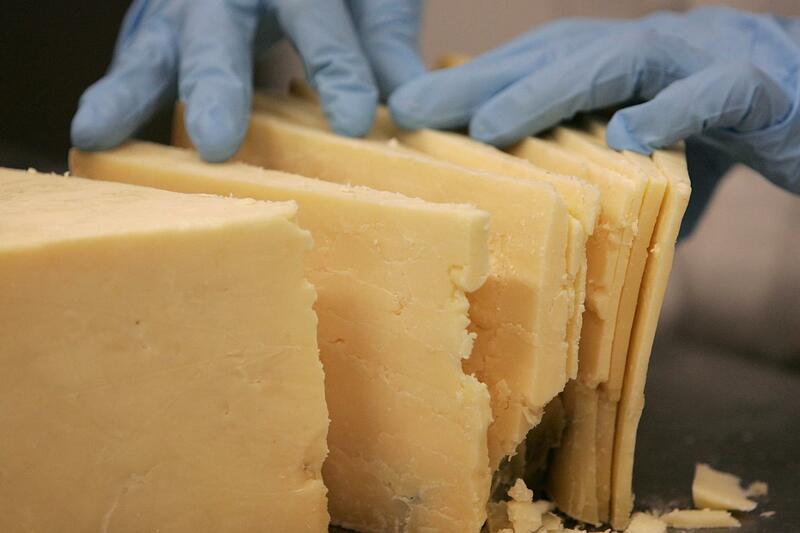 Researchers from the University of Michigan have revealed that cheese contains a chemical found in addictive drugs. The chemical, which is found in all dairy products, can trigger the brain’s opioid receptors, producing a feeling of euphoria linked to those of hard drug addiction. 500 students were asked to complete a questionnaire to identify food cravings, as part of the study, with pizza topping the list as the most addictive food of all. In addition, they found that the top-ranking foods on the addiction scale were those containing cheese. Scientists studying dairy products found that in milk, casein has a minuscule dosage. But producing a pound of cheese requires about 10 pounds of milk — with addictive casein coagulating the solid milk fats and separating them from the liquids. As a result the super-strength chemical becomes concentrated when in solid dairy form, so you’ll get a higher hit of addictive casein by tucking into a cheese sandwich than you will in your morning bowl of cereal. Study author Erica Schulte said: "If properties of some foods are associated with addictive eating for some people, this may impact nutrition guidelines, as well as public policy initiatives such as marketing these foods to children." "This could help change the way we approach obesity treatment. It may not be a simple matter of 'cutting back' on certain foods, but rather, adopting methods used to curtail smoking, drinking and drug use." The news comes after it was revealed that the average person is estimated to eat around 35 pounds of cheese a year - suggesting that it really as addictive as research claims. No wonder the smelliest of Stiltons can have us reaching for the crackers by the handful.